The Denim King: The Story of Moses Cone tells of a powerful family dynasty that brought textile manufacturing to WNC and built Flat Top Manor in Blowing Rock, now Moses H. Cone Memorial Park and part of the Blue Ridge Parkway national park unit. Dubbed The Denim King, Moses Cone became a major supplier of denim to Levi Strauss & Co. Set in the Reconstruction Era, The Denim King traces the history of Cone’s arrival to the mountains, his efforts to build the factory and mansion, and how he helped develop the area through philanthropy. When labor unions come onto the scene, tensions develop. 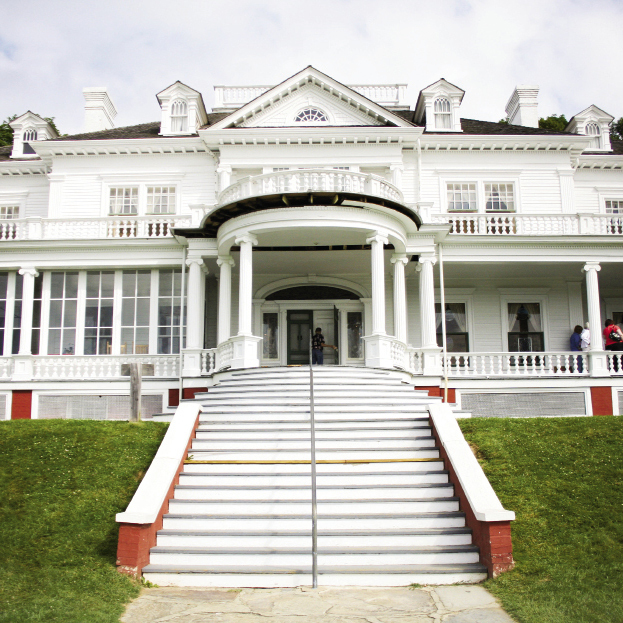 The Blue Ridge Parkway Foundation is sponsoring the production and will hold an opening night reception at the Hayes Auditorium at Lees-McRae College to raise funds to preserve and enhance Flat Top Manor and grounds. Saturday, August 1, 7 p.m.